A concise home manual on how to relieve back ache and prevent it. Explains why back problems are so common and the role of the spine. Hearn tells how to recognize the early warning signs of spinal disc trouble and how to relieve and prevent disc problems by taking care of your spine by performing corrective movements. These simple movements take about one minute and should be done at least three times a day, especially when the spine begins to feel tired, stiffens up, or aches. Hearn also recommends a ten minute daily exercise regime that strengthens the trunk muscles. Most valuable are several chapters of practical information on avoiding or easing back pain while sitting at a desk, driving a car, carrying packages, lifting a child, or lying in bed. With Adlerova's copious graphics, all routines are easy to follow. 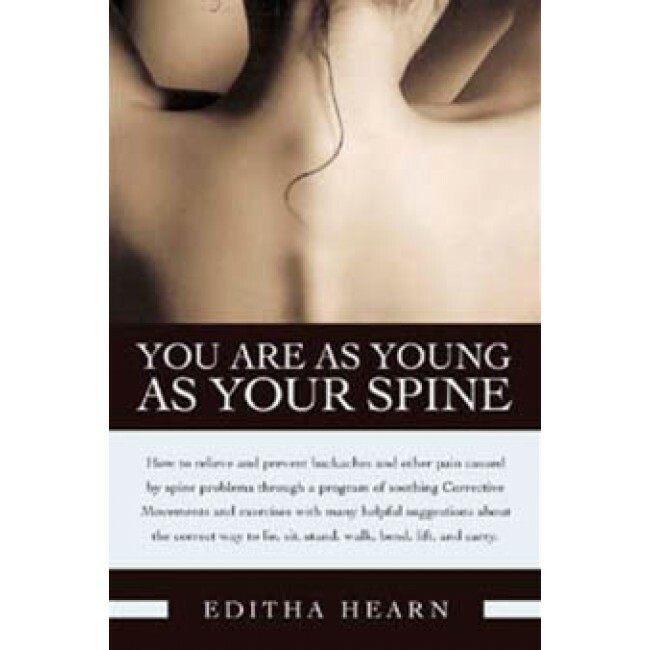 Editha Hearn is a physical therapist who for more than twenty years directed her own clinic. A member of the Chartered Society of Physiotherapy, she trained under Dr. James Cyriax, considered to be the father of modern orthopedic medicine.